I've recently started publishing long-simmering ideas about how the urban university can be transformed to become a more powerful actor in changing cities and regions. By the urban university I do not mean the university in the city, but rather the parts of the university that study and teach about all aspects of urbanism, urbanization, urban systems and urban life, broadly defined. This is part of my general broad engagement with urbanization writ large, some of which is evident in my 23 steps piece. An academic version of my urban university argument (The Future of the Urban Academy) can be found in City in a piece published in conversation with David Madden. A newer, shorter and accessible version was published on the Carbegie Council's new Policy Interventions site under the headline, Can the University Help Make Better Cities? 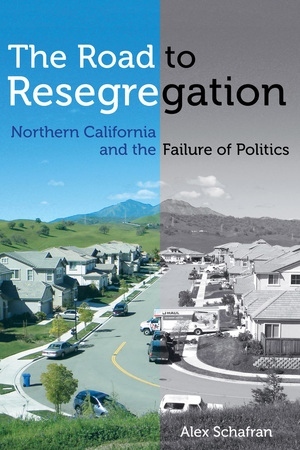 The general themes of this work are getting us to rethink the basic political processes that decide what gets build where, issues of long term planning and media coverage of urbanization, and recognize that the institutions we have that currently are in charge of these functions are modern inventions that can and should be changed. The university has a key role to play, far beyond what we currently imagine. I discuss this in some form in a recent op-ed on political compromise in the Bay Area. We need to think bigger.